Newcastle bed and breakfast travel guide for romantic, historic and adventure b&b's. 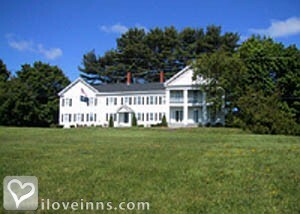 Browse through the iLoveInns.com database of Newcastle, Maine bed and breakfasts and country inns to find detailed listings that include room rates, special deals and area activities. You can click on the 'check rates and availability' button to contact the innkeeper. Right smack between two great rivers, the Damariscotta River and the Sheepscot River, is the town called Newcastle. Near Newcastle is the very first marine shellfish Maine legislation-protected area called the Great Salt Bay and together with the Dodge Point Public Reserved Land, Newcastle offers one of the best hiking, cross-country skiing, and fishing areas. Imagine one hundred and fifty-two acres of pristine land and rivers that is nature-built for hiking, camping, and other outdoor activities which the whole family will surely enjoy. Newcastle got its name after the Duke of Newcastle as a compliment by being the secretary to King George II. You will feel like royalty when you stay at a Newcastle bed and breakfast inn. By Tipsy Butler B&B.